4 Benefits Of A Nanny Cam | Calgary Alarm Inc.
One of the most unnerving decisions parents with young children can make is to entrust the safety and well-being of their kids to a complete stranger, regardless of how well qualified and highly recommended that caretaker may be. Stories in the news about childcare workers caught on tape abusing and neglecting children are unpleasantly common place. With the advent of the “nanny cam,” one or several hidden cameras placed around a home to monitor the actions of the person responsible for looking after someone else’s children, some severe cases have become national and international news. Here are the top four benefits of having a nanny cam in your home. Ensure your children’s safety. Most people that look after children are good people and take the needs and safety of children seriously. However, if abuse is taking place, children are often either coerced into silence, or are too young to know that they are being abused. This means that a cycle of abuse can continue indefinitely, without parents’ knowledge. A nanny cam stops this in its tracks. Feel in control. Handing over the most important people in your life to a complete stranger requires an enormous amount of trust, as well as an ability to relinquish control. Many nanny cams provide constant remote access from any computer or personal device allowing you access to real time footage of exactly what is going on in your home. Ensure high-quality child care. Often times, nannies are hired on the basis of additional, valuable credentials they might possess such as teaching degrees or certificates and second language or musical instruction qualifications. If a nanny agrees to provide, and subsequently charges extra for these services and competencies, you want to make sure that your child is getting the full benefit of them, not being sat in front of a television all day while your nanny spends time on the phone. Theft prevention. A nanny cam is not just for keeping an eye on what your nanny is doing; it is a tool to monitor all of the goings on around your home when you are not there. Contractors, the nanny, landscapers, any of the myriad of people that may need to come in and out of your house while you are not there, a nanny cam provides you that peace of mind. 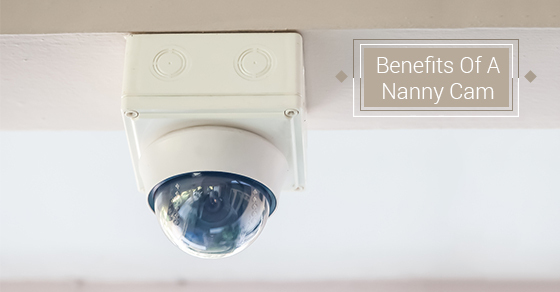 Nanny cams are easy to install, remain inconspicuous and are a great way to provide you with added confidence when entrusting the care and well-being of your children and home to strangers, or even as a method of monitoring activity in and around your house while you are not there.